With both competitors and potential customers constantly online, digital marketing is one of the main ways to stay ahead. 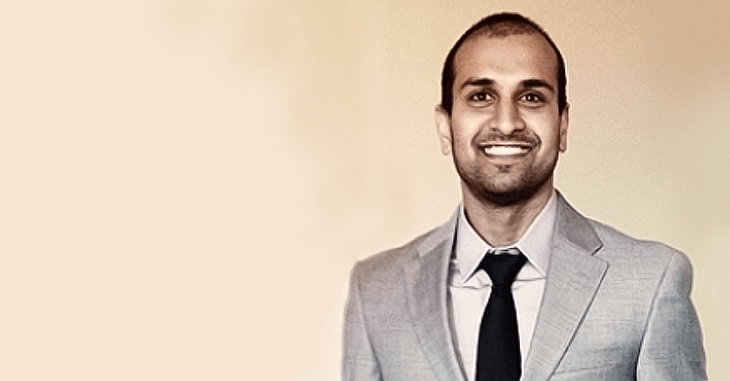 As the co-founder of Austin based agency Web Profits US and over 13 years of industry experience, Sujan Patel knows a thing or two about digital marketing strategy. Last month, we invited him to do a live AMA session on TNW to share some of his insider knowledge with our audience. At TNW, Google Analytics is one of our go-to tools. Though notably “limited by what tools will work for [his] company,” Sujan agrees. When asked for his favorite tools to create, measure and drive growth, the marketing maven named GA as his favorite. Followed by various sources to measure your funnel (Mixpanel, Kissmetrics, Heap Analytics) as well as some for SaaS (Profitwell.com or Baremetrics). Marketing is a fluid and ever-changing profession. As such, marketers need to stay on top of trends and technology. But one thing’s for sure… there are some skills that every Marketing VP or CMO needs to have. 4. Prioritization. Knowing when to say no and focus are just as important as execution. I love using content marketing to drive brand awareness. If you’re the most helpful, people remember you and associate you with helping solve their problem so it’s brand awareness plus helps with consideration (middle or bottom of the funnel). I use Facebook ads to drive traffic to that helpful content. Growth marketer and a data-driven marketer are the proper ways to describe yourself these days… however it’s a moving target as marketers like making up new words and phrases. To SEO or not SEO, that is the question. When boosting website traffic, there are two basic options: pay-per-click (PPC) advertising or search engine optimization (SEO). If he could only pick one, would Sujan recommend SEO or PPC? If I really had to choose one I’d go with PPC because it’s something I can throttle up and down as needed or based on performance. Every traffic source is competitive these days and SEO specifically can take years to make an impact so if you are relying on SEO traffic you should drive PPC traffic to supplement things. Reality is there will [never] be an unlimited budget so make sure to hire around what acquisition channels are driving new business and work with the product, dev, sales and customer support teams. And just where would he start specifically on building a growth/marketing team? It really depends on your growth channels on who you hire and build your team around. I recommend hiring a dedicated person for your top two channels. Want more specifics? Read his in-depth article on how to structure a growth team and how to hire. To learn more from Sujan, check out the full answers session here. And for more AMAs with the world’s most influential thought leaders in business, design and technology, check out our upcoming and past sessions.